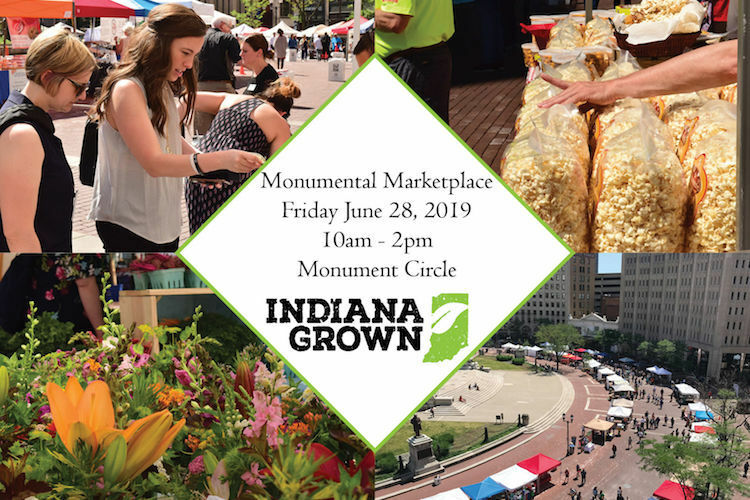 Take a break from the work day on June 28 and join Indiana Grown for lunch at its third annual “Monumental Marketplace” in downtown Indianapolis. Located around the entire Monument Circle, from 10 a.m. to 2 p.m., this FREE, one-of-a-kind marketplace event allows attendees the opportunity to eat, sample and shop from more than 150 Indiana Grown vendors. The initiative, as it approaches its fourth anniversary, encourages Hoosiers to buy local, and each purchase you make will go to support businesses and farmers across the state. So, if you love local, leave your lunch at home and come explore all of the unique tastes Indiana Grown has to offer at an event of “monumental” proportions! Visit www.indianagrown.org for more information about the program and its members!